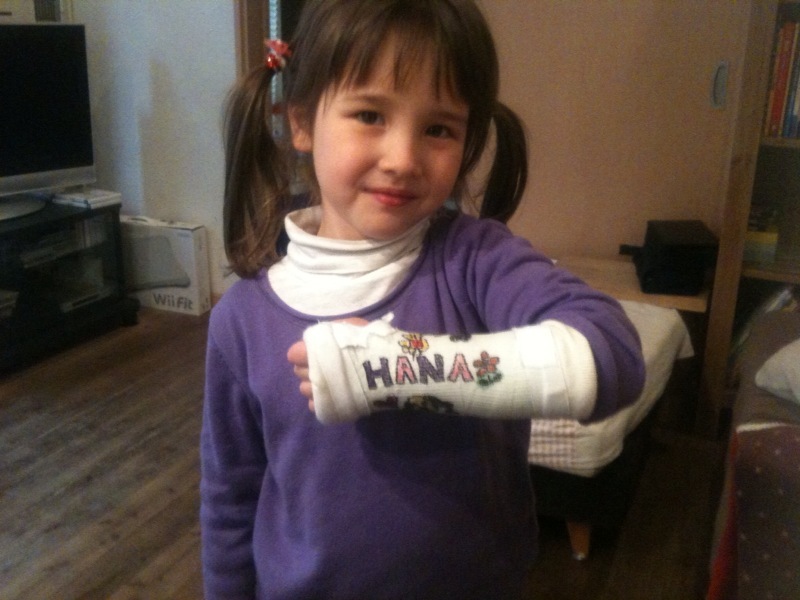 Hana is taking part in a dance show this Sunday and has been practicing cartwheels. Unfortunately she kept going too long and managed to sprain her wrist! BUT ……………………………………………. she will still be dancing! GO GO Yuzu-Hana!